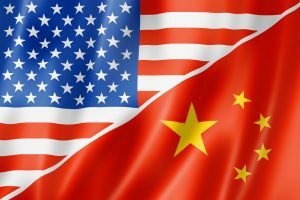 President Donald Trump could impose tariffs on Chinese good Friday, or perhaps next week, according to Politico. Sources say the imminent move faces a Friday deadline for publishing a final list of goods that will be hit with the 25 percent tariff. However, the order for the products list deadline does not offer a timeline on when the tariffs will be imposed. Experts don’t expect much change from the proposed list of products, but say some items could be removed from the list following the earlier public comment period. The tariffs are sure to spark further tensions in the ongoing trade talks and trade war between the U.S. and China, as China targets U.S. agricultural products. China has even directed its own farmers to grow more soybeans to lessen the nation’s dependence on U.S. soy.